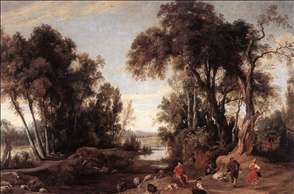 Flemish landscape painter born in Antwerp, where he became a master in 1604. He is best known for painting landscape backgrounds for Rubens and for many artists in his circle, but his finest independent work - Winter Landscape with a Hunter (Gemäldegalerie, Dresden, 1624) - shows he was an accomplished master in his own right. 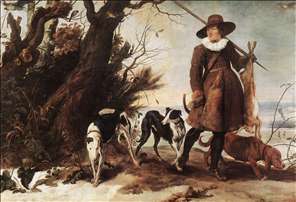 See more details about "Landscape with Shepherds"
See more details about "Winter Landscape with a Hunter"